Fort Terrett, AKA Camp Terrett, Texas. "The Ft Terrett Centennial is about 29 miles E of Sonora on the N side of I-10 on River Road." Established in early 1852 by Lt. Col. Henry Bainbridge. The purpose of the facility was to guard settlers against Comanche raids. 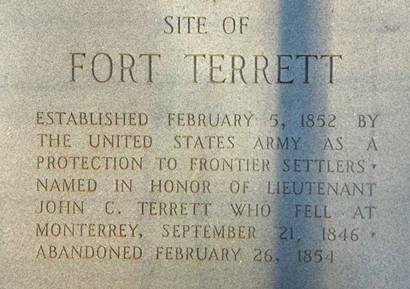 The namesake of the fort was Lt. John Terrett, who was killed in the Mexican War some six years before. 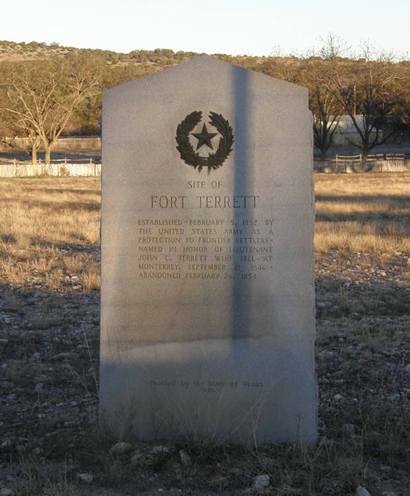 Lt. Terrett died in the Battle for Monterey. The base was in existence for two years. It was abandoned in 1852 although some structures are known to be standing. 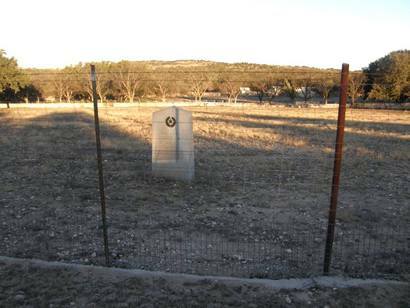 A Texas Centennial Marker was erected in 1836. It stands off Highway 290W � about 26 Miles W of Junction.